Take a glimpse back into the annals of history by visiting the colonial Kaminski House duringyour next vacation on the Grand Strand. Located only ten miles from beautiful Pawleys Island,the Kaminski House can be found in historic Georgetown, South Carolina, where it has stoodsince the year 1769. Before it was the Kaminski House, the home and land on which it sits belonged to the once-proclaimed "King of Georgetown," Paul Trapier, who was one of the leading merchants in SouthCarolina at that time. Trapier was born to French Huguenots who had settled in the FrenchSantee region of South Carolina, and he became wealthy after opening several general andtrade stores throughout the colony. Trapier became a hero of the Revolutionary War, as hesupplied the troops with provisions until the fall of Charleston in 1780. After the war, theKaminski House was passed along at first through Trapier's family, but it was eventually ownedby other prominent Georgetown residents, and it was purchased in 1931 by Harold and JuliaKaminski. Harold served as the mayor of Georgetown and was involved in military excursions inboth World War I and World War II. While there were minor renovations that took place between 1769 and 1931, under theKaminski's ownership, the House truly evolved into the timeless beauty that it is today.Between the years of 1946 and 1949, the owners added bathrooms corresponding to eachbedroom, extended the dining room, drawing room, and other bathrooms, and exchanged thesecond-floor piazza for an iron-wrought balcony overlooking the main entrance. 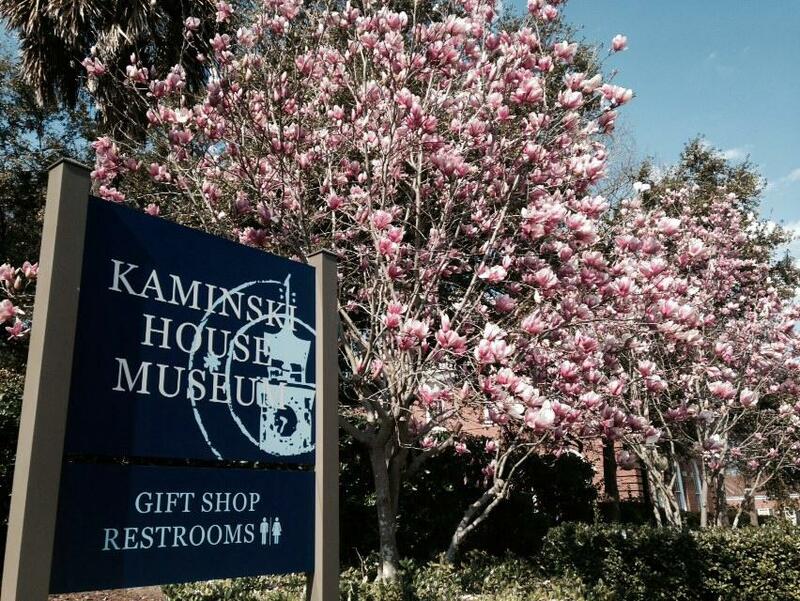 Bring your family and tour the Kaminski House, which represents centuries of South Carolinacultural and architectural history. Make sure to stop by on August 13 from 11 a.m. to 2 p.m. forcraftswoman Adrina Glover's demonstration on the art of making sweetgrass baskets. You willeven have the chance to take one of these special southern treasures home with you, as Gloverwill provide an assortment of handcrafted baskets for sale throughout the demonstration. Takea step back in time and relish in the beauty and culture of the Kaminski House.